The Christmas holiday season is about faith, family, fun, and food but the presents are an added bonus! 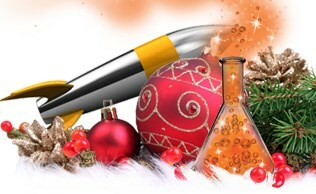 Cool toys and stylish clothing always make for great presents but they don’t compare to the gift of magic (or science). During this experiment, the children will assist the Mad Scientist with the task of making a Christmas present disappear into thin air. The gift of magic is exciting but will it get the job done? Or will we have to use a little science to do the trick? Each year in the U.S. over 3 billion Christmas cards are sent out. Nearly 16% of retails sales in the U.S. are attributed to Christmas purchases. 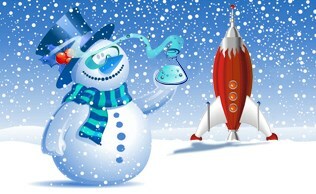 Christmas was not recognized by the government as an official holiday until the year 1870.